UC-B Properties Owners, John Hoffman and Lance Carlton are known for their philanthropic personalities. They sit on many boards, volunteer time and resources and are true advocates for Kansas City and community members within its core. 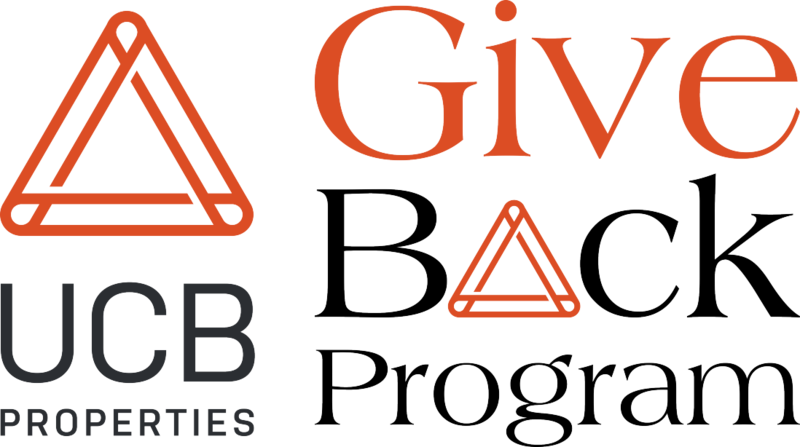 Sticking true to their philanthropic nature, UCB has launched a new Give Back Program to help raise funds for local organizations positively impacting the Kansas City community. The UCB Give Back Program promises to donate $50 for every lease they sign (take a look at Scholars Row) and $250 for every house they sell to two organizations each quarter. The total will be split evenly between the two. The first two organizations to benefit from the Program are Amethyst Place and Lead to Read KC. The UCB Give Back Program was developed to provide a fundraising avenue to organizations who are committed to helping at-risk individuals and families succeed and who are fulfilling their mission on shoe-string budgets. UCB Properties’ prides itself on creating ongoing growth and revival opportunities to attract individuals and families of all backgrounds to the Urban Core. They are visionaries who are committed to blending modern design with historical concepts and dedicating to revitalizing and highlighting Kansas City’s hidden gems. Amethyst Place provides care and support to some of most vulnerable women and children in Kansas City. The Mission of Amethyst Place is to support women recovering from drug and alcohol addiction and their children by providing safe, drug-free housing and individualized services to promote healthy families. We help families overcome significant trauma and develop essential life skills. We are a campus of 38 fully furnished apartments, serving between 50-60 families per year including over 100 children, more than half of whom are preschool age. Lead to Read KC is a Kansas City non-profit dedicated to improving the basic literacy skills of children in the urban core. Our mission is to improve third grade literacy by mobilizing community volunteers to read one-on-one with children in Kansas City-area classrooms on a weekly basis. Launched in 2011, we connect more than 1,100 elementary students with an adult reading mentor in more than 50 classrooms across the metro.